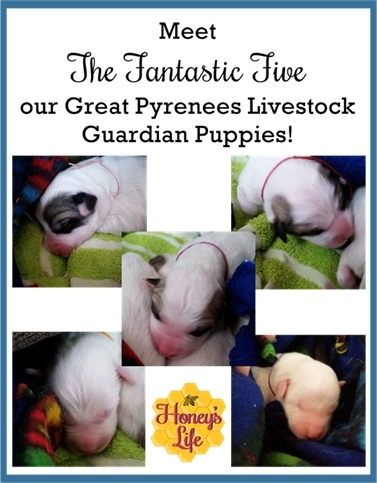 Meet our Great Pyrenees Livestock Guardian Puppies! We have 2 amazing Great Pyrenees dogs that guard our mini farm. They protect our animals, our property and our children. 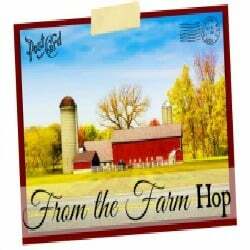 We have plans to move from our mini-farm to something that can will allow us to be completely self sufficient and farm in a truly biodynamic and closed loop system. However, the addition of adding more acreage and animals means we need additional LGD’s (livestock guardian dogs). And so this fall we were very excited when our Pyrs came into season and had their first successful tie (which is NOT a necessity to a successful breeding)! Only a short while later we were blessed to have beautiful puppies born to our homestead on the coldest day of the year. It takes nearly two years to have a properly trained LGD as they are simply puppies for so long due to their massive size. But with working parents we have a benefit that they will keep the pups in check. Bashtet successfully whelp 12 beautiful puppies but she decided to have her pups (not in the shed) but under the kids’ jungle gym! Seven of the puppies froze and these 5 (one that was nearly frozen solid but we were able to save with prayers, heat and breath) have touched my heart like no animal has ever touched it before. Besides the chicks hatched here they are the first animals born to our homestead. It’s been a powerful experience so far. With healthy beautiful 3 boys and 2 girls I’d like to introduce you to Osirus and Bashtet’s 5 beautiful great pyrenees puppies! « How #BigGreenGiveaway helps with Living Green, Healthy & Organic.